Patchwork Nation: Edgecombe County, N.C.
For the past 10 years, many of Edgecombe County's citizens and elected officials have questioned the results of the 2000 Census. The population count came only about six months after Hurricane Floyd's flood waters devastated the area and forced many people from their homes. As a result, Edgecombe's mail-in Census participation rate in 2000 was 59 percent. This time around, county and community leaders led a push to improve Census participation and they have something to be pleased about - 73 percent of Edgecombe County residents completed their Census forms. In a county that struggles with chronic high unemployment and other challenges, having an accurate measure of its population - and the federal dollars that could bring - is critical. 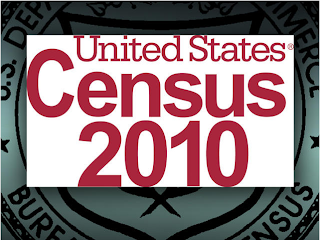 See how the rest of North Carolina's counties did in returning Census forms by mail. North Carolina experienced relief, albeit small in some cases, with lower jobless rates in all 100 counties for the month of March. Edgecombe County's unemployment rate (not seasonally adjusted) dropped 1.5% to 15.6%. Before - and even during - this recession, Edgecombe has often had North Carolina's highest unemployment rate. In the March report, four other counties have more people out of work, including Graham, Rutherford and Caldwell Counties in the western part of the state. As a group, Western North Carolina counties have seen their rates rise more dramatically during this recession, largely the result of lost manufacturing jobs. East Carolina University should put out seasonally adjusted rates later today...you can find them here. 2010 Census forms begin making their way to mailboxes across the nation this week and the people-counting efforts are getting extra attention in Edgecombe County. 10 years ago, when Census workers were doing their tallies for the 2000 Census, much of the county was still in disarray. Flooding from Hurricane Floyd put 40 percent of Edgecombe under water and forced thousands of people from their homes and into temporary housing only about 5 months before the Census began. As a result, Edgecombe County leaders say many residents were missed in the 2000 count. In a county that's been suffering through high unemployment and other economic malaise for more than 15 years, missing parts of the population in the Census--and the millions of federal dollars that could cost--is a major thing. This time around, county officials are going all-out to make sure everyone in Edgecombe is counted. In reminding citizens to fill out their Census questionnaires, county leaders are also letting them know about the millions of dollars at stake if Edgecombe County is under-represented. Census workers are also involved, meeting with church groups and other local organizations to get the message coming in from many different directions. Edgecombe's official population has been somewhat unclear to many of the people who live there--hopefully the 2010 Census will remove the confusion. The Regional Census office for eastern North Carolina is in Rocky Mount and so far applications from temporary employees have been brisk. "We have gotten a good response in Edgecombe and Nash counties," said Lindberg White, Jr., the Manager of the Rocky Mount Census office. Edgecombe has one of North Carolina's highest unemployment rates, but White doesn't believe that's the only reason so many people have been interested in the part-time Census work. He says it's most difficult to find qualified applicants in counties that are more rural and sparsely-populated than Edgecombe. The Rocky Mount office oversees people-counting efforts in 17 eastern North Carolina counties. White says it's hard to put an exact figure on the number of people that will ultimately be hired to help with the Census because of turn-over and other things, but he expects it will be somewhere in the neighborhood of 1800 workers. White says he won't know exactly how many people he'll need until the Census questionnaires start coming back: the more residents who mail in the Census form, the fewer workers needed to go door-to-door. Those who are hired can expect to earn between $11 and $14 an hour and could potentially have Census-related work through the fall. The middle part of the week brought major economic news that could benefit Edgecombe County--but the announcement didn't take place there. On Tuesday, Oregon-based Reser's Fine Foods announced it would expand its operations in neighboring Halifax County, creating 500 jobs in the process. The company produces prepared salads, dips, side dishes, Mexican foods and specialty products under a variety of brand names. Since the facility in Halifax is an hour or less from most Edgecombe County locales, the jobs are welcome news to the work force in Edgecombe. Many of the county's residents leave Edgecombe everyday for work in other communities--some of them further away than Halifax County. In November, the most recent month for which data are available, Halifax County had an unemployment rate of 13.6%, 3 percent lower than Edgecombe's 16.6%, the highest in North Carolina. Edgecombe County has about 1000 more people looking for work than Halifax County does, according to NC Employment Security Commission statistics. State and federal leaders also announced this week that Edgecombe County is among 37 North Carolina counties to receive $28 billion in economic stimulus funds to expand broadband internet access. good cheer. North Carolina's statewide unemployment rate in December increased to 11.2%, up from 10.8% in November. The 11.2% figure is the highest of the recession, topping June's mark of 11.1%. The jobless rate had been below 11% since then. The state releases rates for individual counties on Friday, 1/29.